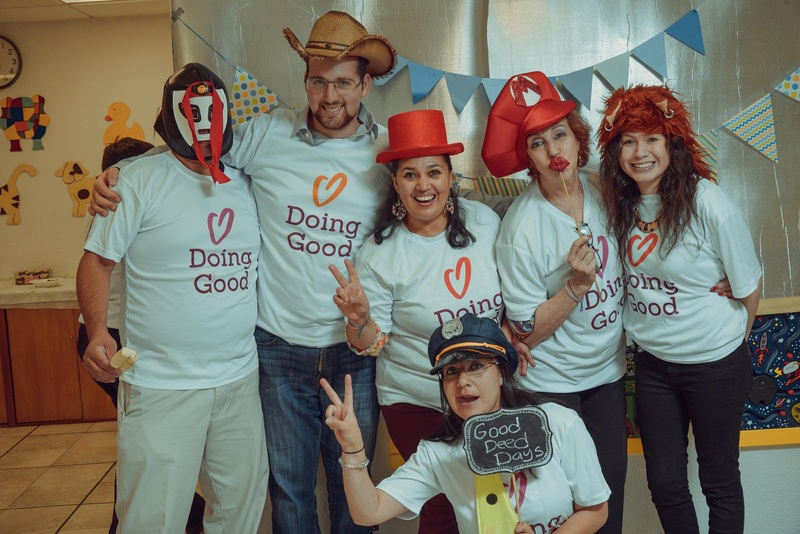 BHI Mexico celebrating Good Deeds Day. 1. Have the desire to do good. We have a feeling you’re reading this right now because you’re a good person who aspires to be even better. 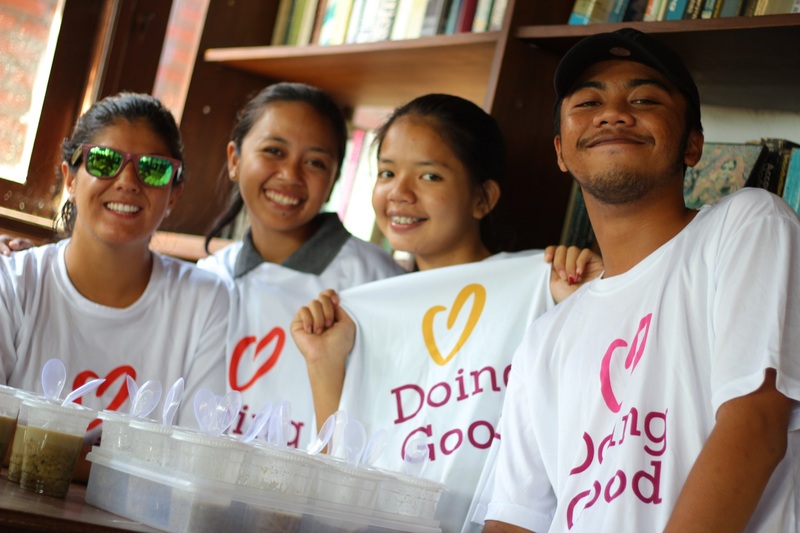 Having the drive to do good is all that it takes to join in the largest celebration of the year devoted to good deeds. 2. Save the date. And this one is a special one as we are celebrating our 11 years doing good deeds worldwide. Last year, more than 1.5 million people took part, and hopefully many more will join this year. You, along with at least 1,499,999 other awesome humans, will unite as one philanthropic force on April 2, 2017 to do good and create large scale positive impact. Go you! Yayasan Slukat Learning Center volunteers handing out food for Good Deeds Day. 3. Get approval from above. It should be pretty easy if you share all the benefits you get, personally and professionally, from volunteering. From health benefits for employees to increased job satisfaction and productivity at work, this opportunity is a win-win-win for all parties involved. And just in case, send your HR head or manager this Kit for Companies to explain it all. 4. Decide how you can help. There are countless ways in which you could be of service in your community, and especially if you’re bringing the whole office along! Browse our How To guides to doing good, brimming with various ideas and activities to suit everyone in your office. Reach out to your coworkers to vote, or see if someone has a special cause to rally around to build office rapport. We’re also happy to work with you to brainstorm a volunteer program for your community, so get in touch! 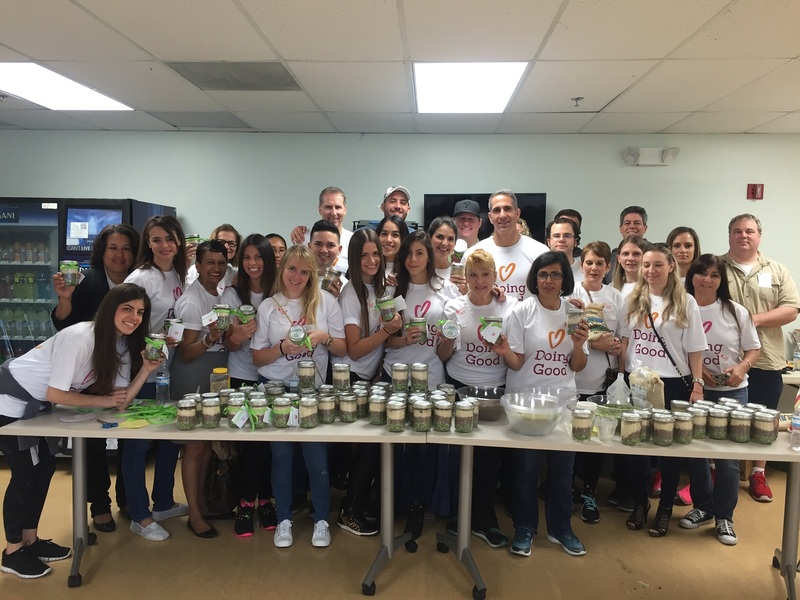 Northern Trust collects food and makes goodie jars for Good Deeds Day! 5. Rally the team. This is the perfect opportunity to connect with your co-workers, do something fun, and create better bonds with the people you may not get the chance to chat with in your office. Get everyone on board by emailing them this fact sheet, sharing all the added value benefits for doing good. 6. Register your group. Fill in a short form and join close to two million people in over 75 countries in sharing your Good Deeds Day tales. Tell us about your project and ideas by registering. Want to match? Make sure to mention you want to order t-shirts with your logo! 7. Promote your event. Now that we know you’re doing good, you should share it with the rest of the world! Not only will this benefit your team, but it’s also good business. Use our ready-to-go media kit to handle any communications you need, and update your social media channels with our cover photo and sweet social media graphics. PeerApp Russia gave assistance to a local animal shelter. 8. Get excited! You should be proud of yourself, friend. You and your office are contributing to a global celebration of goodness! Good Deeds Day 2017 is a dedicated day which proves that millions of small changes can do a world of good. Thank you for joining in our efforts, for believing in good, and for helping to change the world – one good deed at a time! You can get the Complete Toolkit on how to participate, scour worldwide projects you’re interested in, or sign up here!